The New Year got off to a bang at the Sea Hag Marina. As expected, and as you can see in the pictures this month, the cooler temperatures brought hungry trout out to play….or into the river to play, depending on the temperatures. The severe cold spell early in the month brought lots of trout and fishermen to the same area at the same time; the river was crowded and I saw people catching fish on every cast. When temps warmed a bit, fish were found on the shallow flats and around rocky points, especially on flood high tides in the afternoons. And the usual places, such as Dallus Creek, were usually crowded with anglers as well as keeper trout. We had some excellent days, with several fish over 5 pounds taken in the same week, and easy limits available. 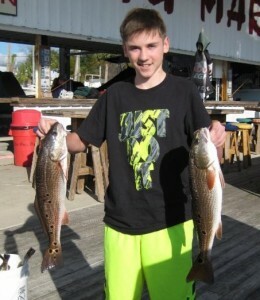 Redfish were scattered but still catchable, hanging in the same areas as trout. Most of the larger fish have now moved offshore, but we caught some nice 23-24 inch fish near rocky structure and oyster bars. Black drum were found on some of the creek bars and in the river, and some sheepshead were caught in creeks around oysters as well, preparing for their upcoming spawn. 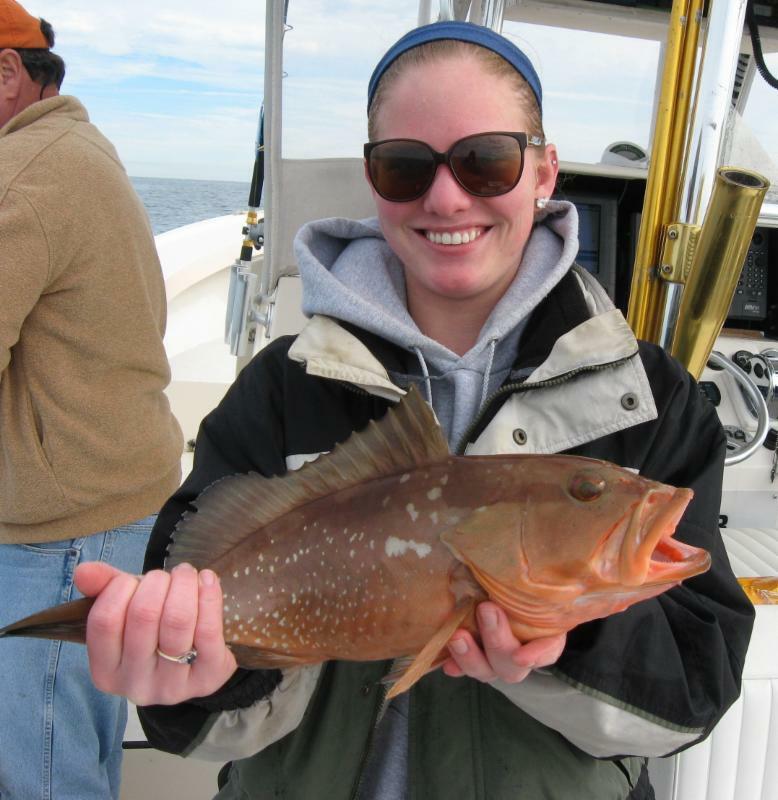 Offshore, there were some excellent red grouper catches for those willing to brave the weather. 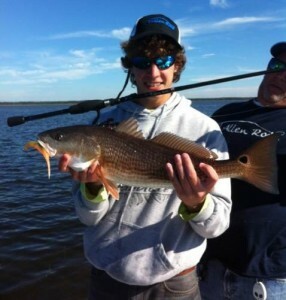 Rob Dilbone caught these fine redfish fishing with his dad. Mary Katherine Tyler brought home this nice red grouper courtesy of Capt. Wiley Horton. 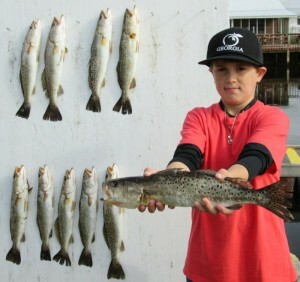 Wade Wilson from Georgia fished out of Keaton Beach with his family and got some nice trout limits. Another trip out of Keaton provided Charlie Walters with this gator trout. 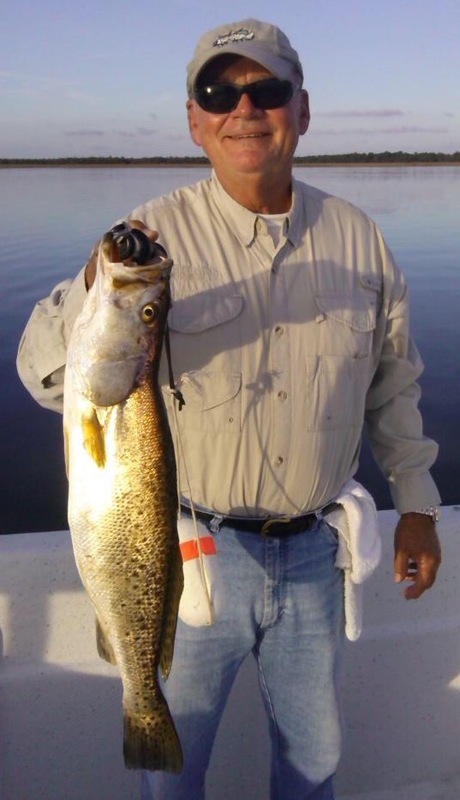 Well-known South Florida snook guide Danny Barrow fished with Chandler Altman and caught a number of fine redfish. 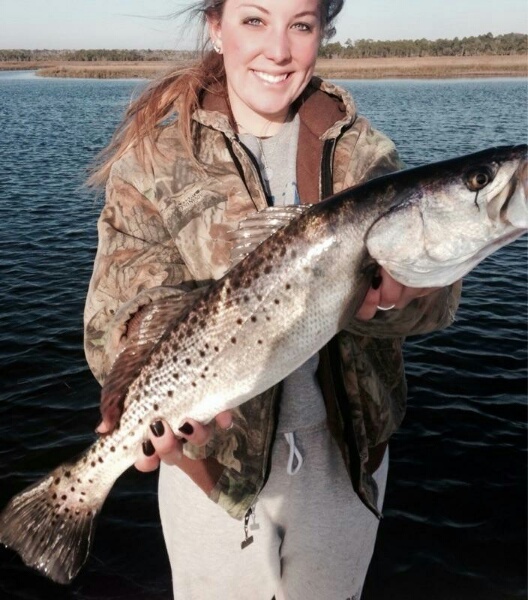 Alyssa Lawson with another huge gator trout. Tommy Ballard from St. Simons Island brought some friends and scored great limits of trout. Cole Reeves from Bell found this nice redfish just outside a creek mouth. 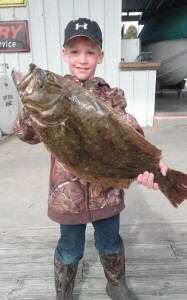 This beautiful doormat flounder is almost as big as “Tatebug” Sirmans! 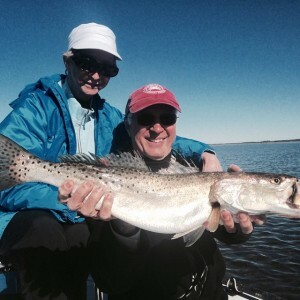 Ron and Lamonda McNary fished with Capt. Tommy Thompson and located this gator. 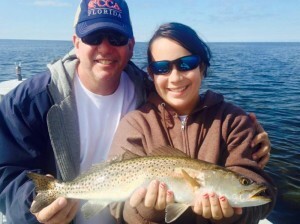 Dan and Danielle Askin came up from Orlando to find this nice speck. Honor middle school students from the Rock School in Gainesville had great fun participating in a scavenger hunt sponsored by the Sea Hag Marina. Sarah Carrington’s first trout was a nice one! 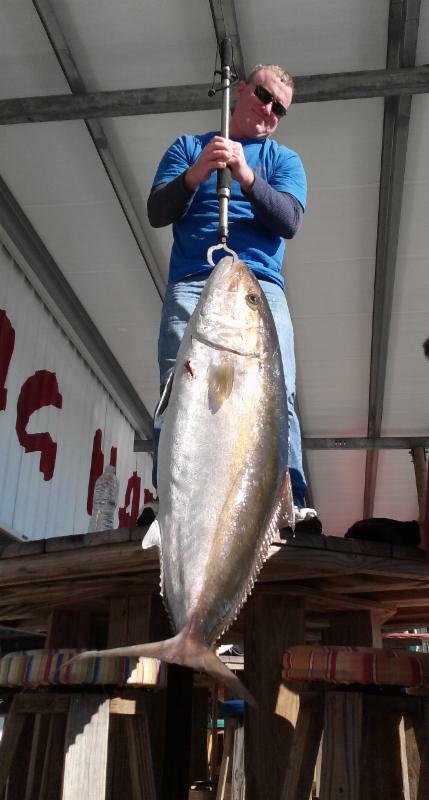 This 78 pound amberjack made an appearance at the cleaning table this month. 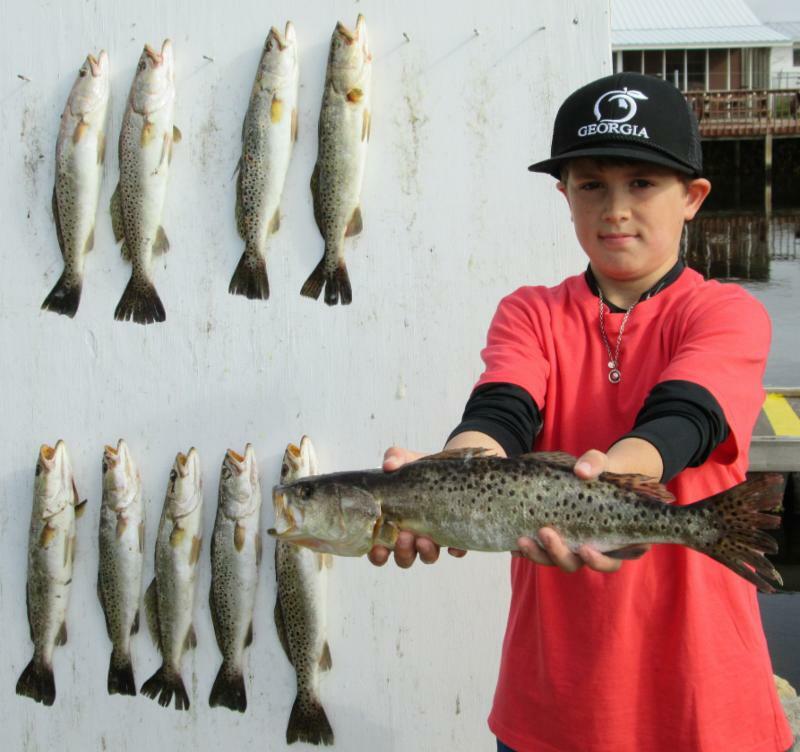 Colby Snyder is going to be a fishing machine in a few years…. 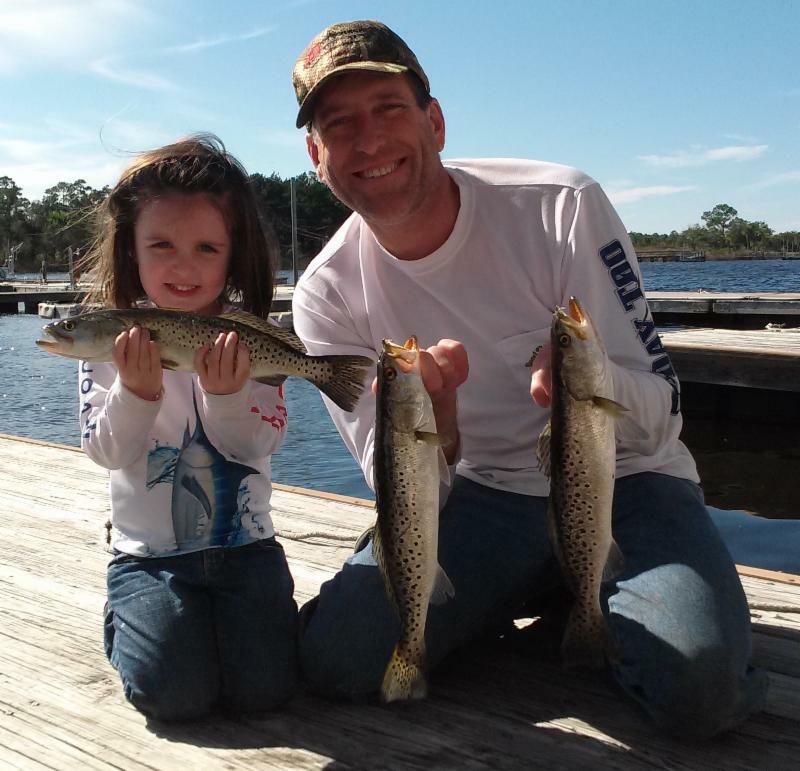 Ellie and Mark Chupp posed with some of their catch on the way to dinner. I’m expecting more of the same excellent trout fishing we’ve had this past month. Actually the formula this time of year is pretty simple. First, are there small craft advisories? If so, you might consider some basketball games and some longnecks, OR you can try and get into one of the many area creeks out of the wind. With the low winter tides, this may involve launching a very small shallow draft boat or kayak at one of the small primitive ramps in our area. You can find these ramps at a variety of locations, including Hagen’s Cove, Dallus Creek, Pine Log (Sand Hill Road), Rocky Creek, and others to the south. If the temperature is really really cold and has been that way, consider the river. Easy to get to, will be holding some fish throughout the winter, and relatively sheltered. Read my prior reports for hints about fishing in the river, and consider trolling slowly with twitch plugs like 52M or TT Mirrolures. When the temps warm up into the high ‘60s and ‘70s, trout will move out of the creeks and river onto the flats to search for food. While there are certain areas that seem to hold them more consistently, you can find them anywhere in 3 to 4 feet of water….on mud flats, near rocks and oyster bars, and in holes in the flats. This time of year, there’s no rush to get out there. The ideal situation for heading out of the river is to have a rising tide in the morning with a good flood tide in the early afternoon with warming temperatures. 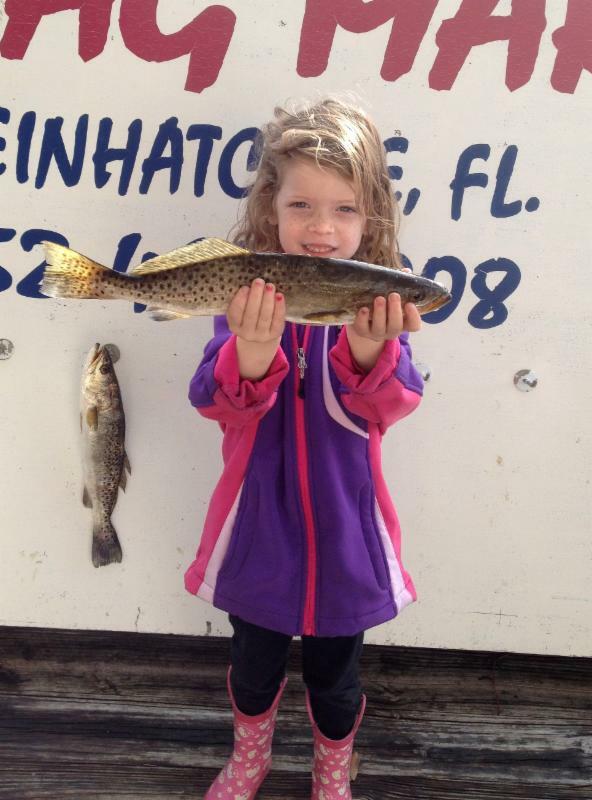 On two successive trips this month with great results, we didn’t catch any fish until noon. Remember to slow everything down. Fish slower than you think you should, then slow down to half of that speed. If fishing over rocks, or in water less than three feet deep, consider switching out your treble hooks for single hooks (you will get hung up much less and it’s easier to release your fish in good health), and use whatever you can come up with that sinks VERY slowly….an unweighted live shrimp, plastic jerkbait, or jig with tiny (1/16-1/8 oz.) jigheads. The most exciting thing on the horizon is the winter sheepshead spawn. Some nice fish have been taken already, as you can see from Capt. Brian Smith’s picture below. The bite is still inconsistent but will improve considerably along with attracting the larger females to the offshore spawning areas. 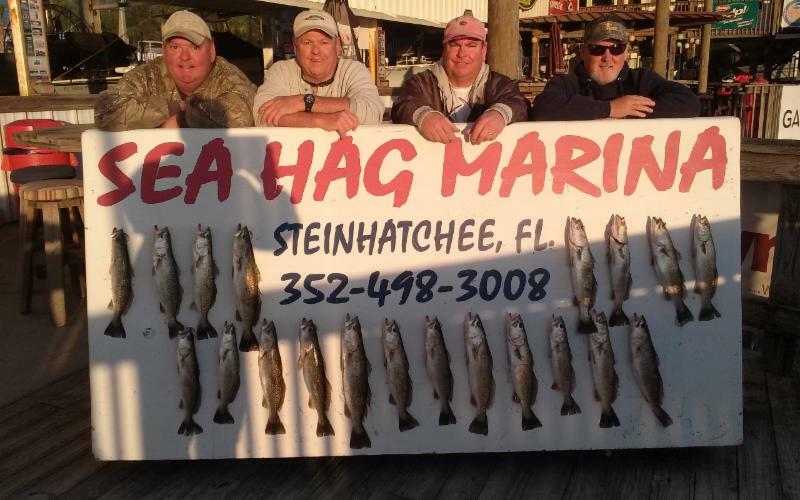 While most of these are proprietary secrets, it’s always reasonable to try the Steinhatchee Reef, about 9 miles out from Marker 1. 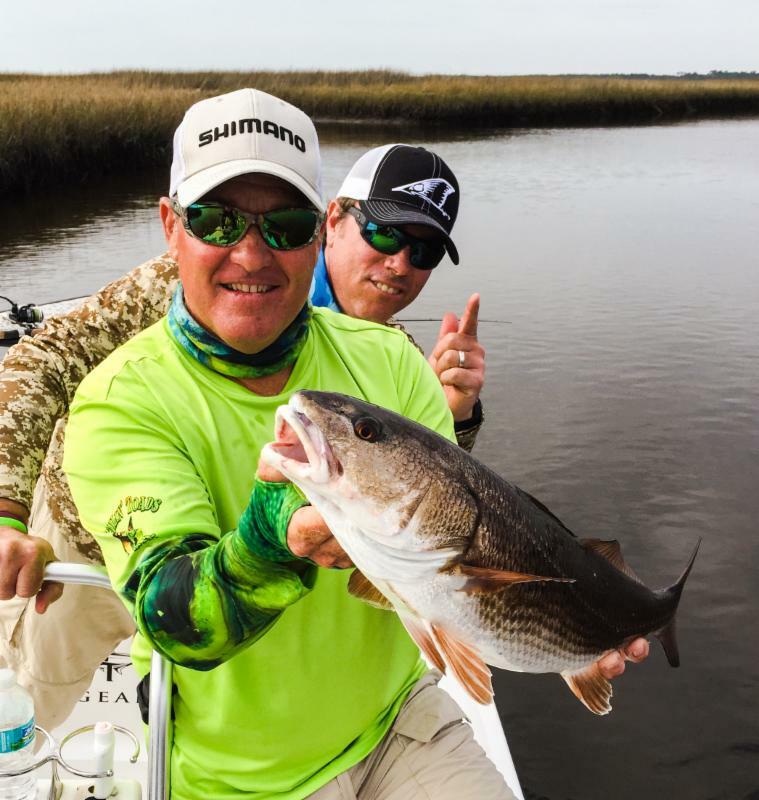 Fish with light tackle to get a great battle, using either fishfinder rigs or baited jigheads, with either live shrimp or fiddler crabs. 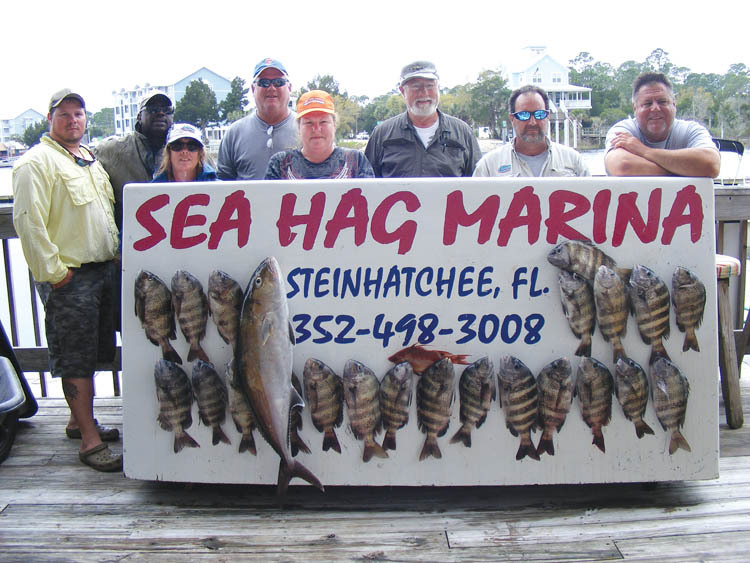 Most of our guides will do sheepshead trips, and if you’ve never tried it before, it’s worth it to get professional input into how to catch these tasty fish. It’s also important to remember the limits….all sheepshead must be over 12 inches in length and the bag limit is 15 fish per person. However, these are spawning fish, so consider keeping enough for a few meals and let’s preserve the resource. 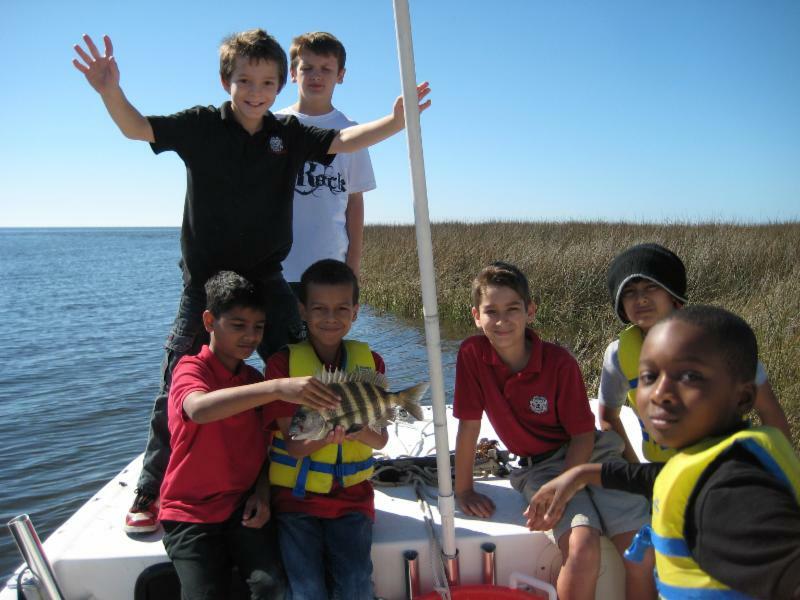 You can check on the progress of the sheepshead fishing by calling the marina, and you can get live shrimp and fiddler crabs there as well. Historically, February is the coldest month of the year here in Steinhatchee. Thankfully, the month is short. The silver lining to the cold fronts is trout come in the river for thermal refuge and fishermen, donned in winter garb, can almost clog the river with boats catching them. Slow sinking Mirrolures (pink is often the hot color) and the never out of fashion ¼ oz jig adorned with a body whose in style color may vary (check local marinas for the latest) are the go to lures. Shrimp also work, but it is hard to sit still when it is cold. 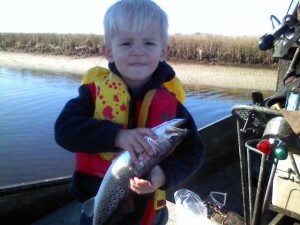 Those in skinny water boats can venture up the creeks and target trout and red fish on the last of the falling tide. Even though it is cold, one can coax some topwater action. The clue is to look for areas where moving waters are mixing. Areas like that are flushing out food and become feeding stations. It seems we may have an early sheepshead season. The kicker is the full moon. The standard baits are shrimp and fiddler crabs. 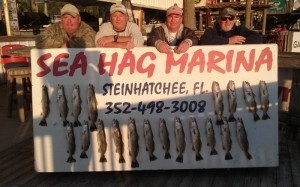 The standard spots are the artificial reefs due west off the Steinhatchee river. The ‘Hot Spot’ charts will give number where to start or a cluster of boat is a hot clue. 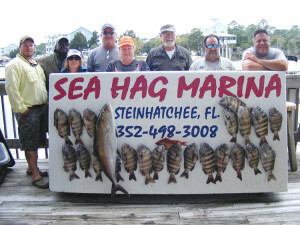 Remember, the sheepshead are there making more sheepshead, let the mammas back to do their job. 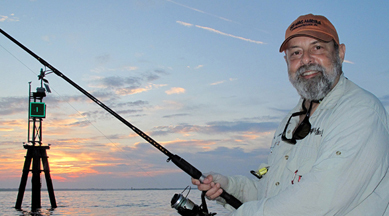 Reeling in Time with Fish Tales by Capt. Brian Smith is a chronology of fishing stories that will touch your heart and inspire your love of sun and fun. Each story tells of a boy and his journey as he fishes his way through life. Brian’s stories are ones we can all relate to…. young and old. Captain Brian masterfully weaves his knowledge of the sport into each tale, and embedded within each story is a great fishing tactic or lesson that will help you catch fish. 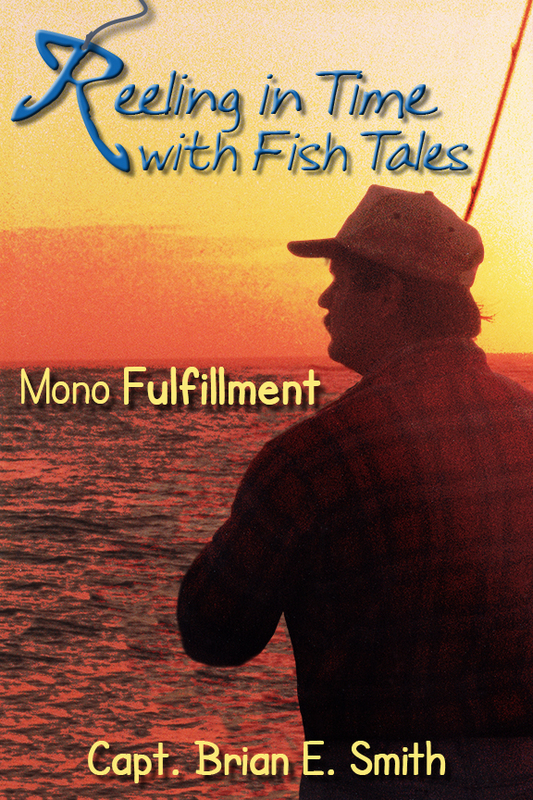 Reeling in Time With Fish Tales is more than a series of anecdotal fishing stories; it’s a reminder, and proof, that life is a journey with lots of serendipitous moments. Once you start reading, you won’t want to put this book down. The perfect gift for the angler in your life! Ready to plan your spring and summer fishing? Give us a call, text or email.